Isn't she the cutest? The pattern for her comes from an awesome blog called inside a black apple and it has even been featured on Martha a while back. 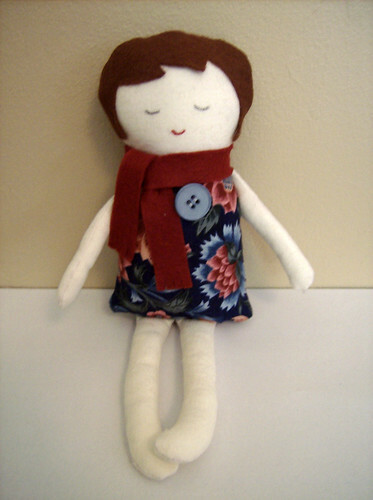 This is my first attempt at a black apple doll, and I was pleasantly surprised at how easy it was to make. The only tricky part was positioning the arms and legs before sewing up the body - notice that her right arm is lower than her left? But hey, it was only my first try. The pattern is supposed to be enlarged 150%, but as that would have meant me having to actually leave the house (I haven't even opened the front door today) and ride the tram all the way to the library, I decided to make a mini version instead. Once I get the pattern enlarged, I plan on making a larger and more elaborate version for my soon-to-be-born niece. As my sister's due date approaches, I've been thinking a lot about stuff I want to make for the baby. There are so many possibilities! If you've had experience crafting for babies, please leave a message and tell me what you made! I would love to get some more inspiration. 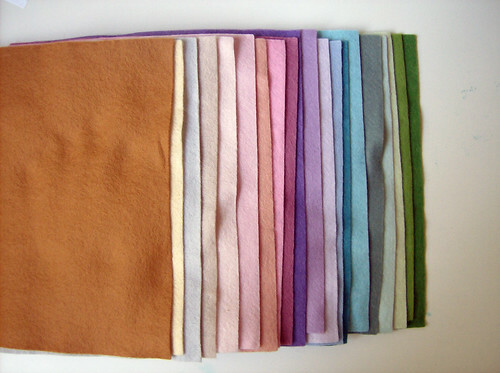 i just love the colour ranges in the felts you got.i to find it had to source these as i live in the country and rely on local shops.great score! 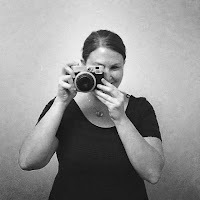 Hi Karin, just doing a bit of old fashion stalking for the swap. 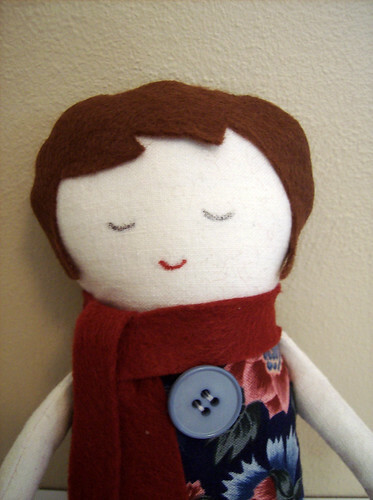 Love the doll, its so cute!